Mother’s Day is just around the corner. To celebrate, several restaurants and other businesses are offering discounts and freebies. Most of these deals are only good on May 13, but some last longer, so make sure you read the fine print. A lot of restaurants are now waiting until the last minute to post their deals, so we’ll add to the list as more offers come in. So check back often! 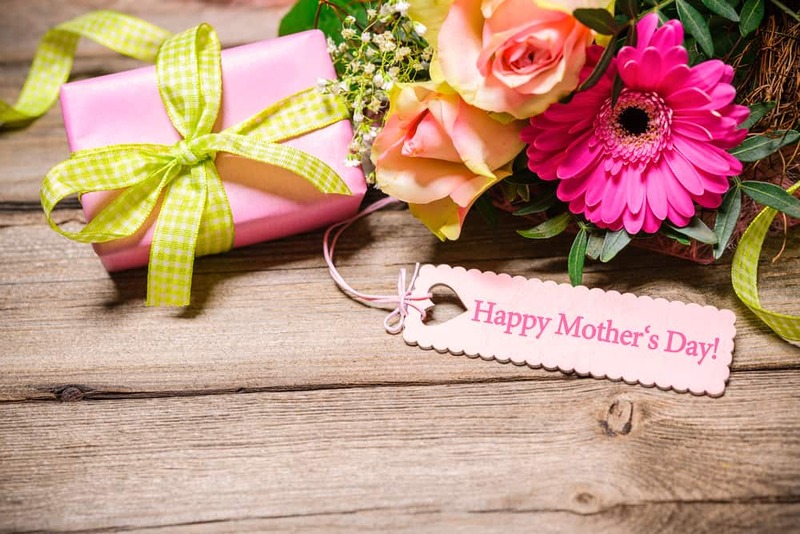 1-800-Flowers: AARP members can use the code AARP2 for a 25 per cent discount on Mother’s Day flower bouquets. Abuelo’s: Moms who dine in will get a FREE Mother’s Day gift (at participating locations). Check our Living on the Cheap network sites for deals in your area. Boston Market: This isn’t a Mother’s Day deal, but we found this special coupon good for a free dessert with purchase of an individual meal. Offer expires May 21, 2018. You must present the coupon when ordering. Bonefish Grill : This isn’t just a Mother’s Day deal – in fact, it doesn’t expire until after Father’s Day. Buy $50 in gift cards, get a $10 bonus card free, until June 17. Direct Gardening: This isn’t a Mother’s Day deal, but moms love flowers. Buy one flower “unit” for the regular price, get one for one cent. Delivery starts in April, and allow a few weeks for it to arrive. Fannie May : Free ground shipping on purchases of $60 or more for Mother’s Day. Use the promo code 25516. Fogo de Chao: Dine in on Mother’s Day and get a complimentary dining card to be used on Mom’s next visit from May 14 to July 12. FTD Florist: Send Mom flowers from the list of under $50 deals. LaMar’s Donuts: Mothers get a FREE Red Velvet Cake Donut or donut of choice (excluding specialty donuts) and a FREE small coffee on Mother’s Day. Melting Pot : All mothers who dine at Melting Pot on Friday, May 11 will receive a complimentary gift of Garlic & Wine seasoning. Special Mother’s Day menu is available from May 11 to May 14 – follow the link for more information. Mimi’s: Mimi’s is serving a three-course menu on Mother’s Day starting at $18.99 for adults and $8.99 for kids. NBC Universal : Attend a free sing-along screening of “Mamma Mia!” at 10 a.m. on Mother’s Day at select movie theaters across the U.S. Follow this link for more details and to find a location near you. Olive Garden : Get a $10 bonus card when you purchase $50 in gift cards. Offer good until May 13, 2018. Outback : Purchase $50 in gift cards to receive a $10 bonus card. Panera Bread : Buy $50 in gift cards for Mom (or for any other reason), and receive a $10 bonus gift card. Offer good through the month of May, and the bonus card redemption dates are from June 1 to June 30, 2018. P.F. Chang’s : Buy $50 in gift cards, receive a $10 bonus reward. Offer ends June 17, 2018. RA Sushi : Spend $50 and receive a promotional gift card worth $10. The gift card is valid for purchases from May 14 to June 17. Red Lobster: For every $75 worth of gift card purchases, receive two bonus gift coupons, good for a free appetizer or $10 off your purchase. The first coupon is valid on visits from July 2 to August 5, 2018. The second is valid from August 6 to September 2, 2018. Also, Red Lobster is opening early for Mother’s Day brunch at 10:30 AM. Regal Entertainment Group : Take Mom to the movies. For every $50 in Regal eCards purchased beginning May 9, receive a $15 Concessions Promo eCard, which is redeemable for movie treats at the concession counter in any Regal theater. The Regal eCards have no expiration date, but the Concessions Promo eCards are only valid from May 9 to June 9, 2018. Ruth’s Chris Steak House: Dine in on May 12 or May 13, and get a $25 gift card for Mom to use at a future visit. The cards are valid for future use (dinner only) from May 14 to July 1. Limit 1 per table, and the deal cannot be combined with other coupons, discounts or other offers. Shoney’s: Dine in with Mom and she’ll get a free slice of strawberry pie with the purchase of an entree or buffet. Share your favorite story about your mom and you’ll be entered to win a $100 gift card for a future Shoney’s visit. Sonic: Finish off Mom’s special day by buying half price shakes after 8 p.m. This deal isn’t just for Mother’s Day – so show some extra love to your mom. TCBY: Mom’s first 6 ounces of Fro-Yo is free on Mother’s day. If you tag a mom and share your favorite moments together using the hashtag #TCBYMOMents in the Facebook comments you’ll receive a chance to win yourself or your mom a $50 gift card to TCBY. Tijuana Flats: One free entree for moms at participating locations. Valid only on May 13. Not valid with other promos or offers. Wienerschnitzel: Moms receive a free Original Chili Dog, small fries and small drink with proof of mom-bership (e.g., bring in your kids, show a family photo or tell an embarrassing story about your kids). Zoos: Many local zoos and other attractions offer free admission or discounts to mothers and grandmothers on Mother’s Day. Check our local Living on the Cheap network sites for deals near you.